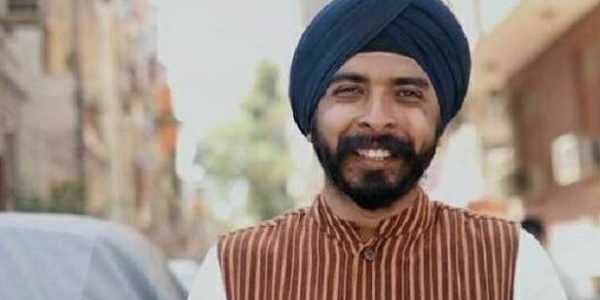 Delhi Bharatiya Janata Party (BJP) spokesperson Tajinder Bagga tweeted a screenshot of his online order, urging his followers that they should also buy slippers for Pakistan in protest. NEW DELHI: A BJP leader on Friday said he had ordered a pair of slippers to be delivered to Pakistan High Commission here to avenge the ill-treatment alleged Indian spy Kulbushan Jadhav's wife and mother were subjected to during their meeting with him in Islamabad. Delhi Bharatiya Janata Party (BJP) spokesperson Tajinder Bagga tweeted a screenshot of his online order, urging his followers that they should also buy slippers for Pakistan in protest against the humiliation of Jadhav's family. It came in the wake of the treatment meted by the Pakistani authorities to Jadhav's mother Avanti and wife Chetankul who were asked to change their clothes, remove bangles, mangalsutras and bindis before meeting him in the Foreign Office in Islamabad on Monday. The Pakistan authorities didn't return Chetankul's pair of shoes alleging that it carried a metallic substance, possibly a bug. "Pakistan wants our slippers. Let's give them slippers. I have ordered slippers and sent to Pakistan High Commission. I request everyone to order (a) pair of slippers for Pakistan. After ordering slippers, tweet your order's screenshot with #JutaBhejoPakistan," Bagga said in a tweet. Bagga's followers immediately followed suit and ordered slippers and even mocking Pakistan's behaviour.